Coombsville is unique because the size of the average winery is much smaller. It also has the fewest corporate owned and operated wineries of any other appellation. The wineries in Coombsville are mostly created, owned, and operated by families. This really harkens back to the original family farmer feel of Napa’s roots. Explain Coombsville’s micro-climate and how it impacts your vineyard uniquely. Coombsville is a large AVA and has a large variety of microclimates. 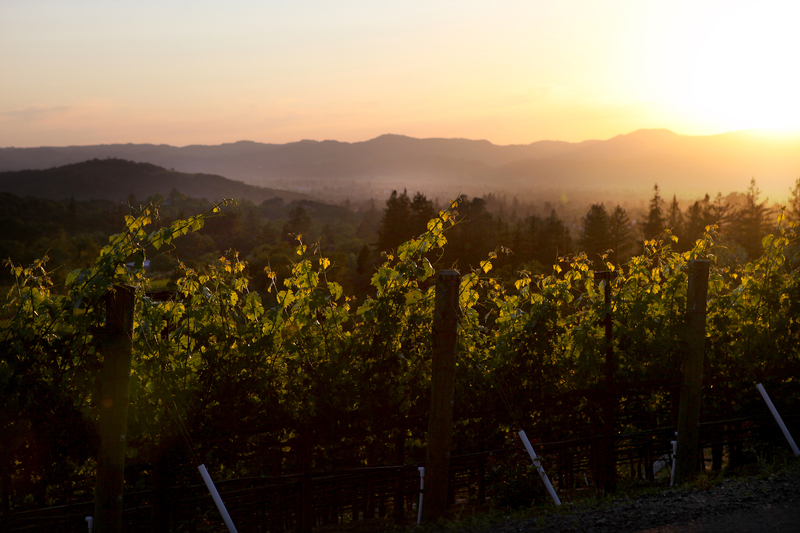 Being only miles from the North bay waters, Coombsville is often described as cooler climate. Even on the hottest nights of a Napa summer, Coombsville enjoys critical vine resting cool nights as bay breezes roll in. Since our elevation spans nearly 2000’ of elevation, we have areas that sit above the fog such as the mountain vineyards of Palmaz Vineyards which sit atop Mt George. This creates for excellent complexity, elegance, and diversity of Coombsville wines. How is the growing season impacted by the unique climate and terroir? Coombsville growing seasons are generally a little longer as a result of our cooler climate, but there are exceptions. At Palmaz Vineyards we are pleased with a vintage that can deliver 240 days but have extremely happy with the results from a shorter season around 215 days. The key is staying on top of vineyard activities to make the most out of every growing day. What makes Coombsville’s history unique? Why is it different from the rest of the Valley? From the perspective of our property’s history, Henry Hagen could have established a property anywhere in the Napa Valley when he arrived in 1876. Letters he wrote referred fondly of the cooler climate and elevation diversity of the Mt George property. Mostly though he was attracted to the abundant water and springs flowing down from the mountain. He founded Cedar Knoll vineyards and won one of the first accolades ever given to a Napa grower by the French, a silver medal at the Paris tasting in 1888 for his Brandy. It was quite the accomplishment for the town of Napa at the time. Coombsville has played host to many early settlers of Napa’s wine history. What can people learn about winegrowing by visiting Coombsville? Visitors who come to Coombsville get a different experience then the larger roads of Napa. Often times it’s more intimate and more one on one with the customer. Again, similar to how Napa used to be in the early 80’s. What are some unique farming challenges Coombsville presents to growers? Cooler climate and longer growing seasons can translate to beautiful characteristics in a wine. However it does require a fastidious viticulture program. Delays in pruning, suckering, leafing, dropping fruit, etc can all cost precious time you may not be able to make up if rains come early that vintage. Fortunately Coombsville has a wonderful collaborative nature and growers discuss timing with each other throughout the season. It has a great spirit! Over the last several years, what has changed about Coombsville’s perception as a winegrowing region? The community? I think some initially thought of Coombsville as a bunch of “backyard” growers. Now with enough award winning producers, the region is really turning heads. I believe palate fatigued collectors are enjoying a return to a more balanced style of winemaking were elegance is celebrated. Coombsville is at home in that style. Where do you see the AVA going? I hope to see Coombsville keeping its style and sense of community. Customers will continue to enjoy our neighborhood, off-the-beaten path, destinations and enjoy getting to hear our stories and try our wines. What makes you love Coombsville? Coombsville has real home feel to it. Most of the producers live on the properties they tend to, raise their families here, and remain fully dedicated to making the finest wines they can. Our wineries range in size large to small, but the spirit behind these projects are all the same. What are the biggest challenges facing Coombsville? Our biggest competitive advantages? 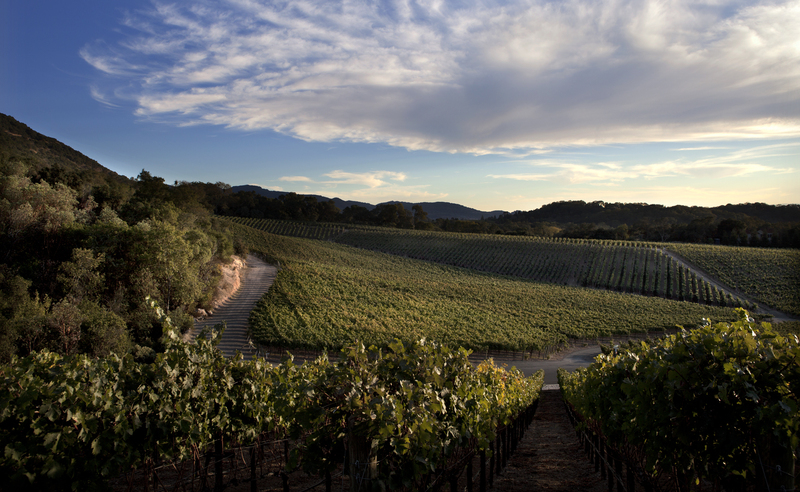 Sharing our special piece of Napa with customers is an important element to a winery’s success. Coombsville’s neighborhood streets are not highways and our wineries are not convention centers. The way we receive customers is different then our larger up valley commercial colleagues. As our success and popularity grows, Coombsville will be tasked with ensuring that our visitation is respectful of our neighborhoods. Fortunately the majority of our winery operators live in these neighborhoods and also care to protect them. As Napa Valley patrons return over the years, they tend to seek alternative experiences. They love to meet a new brand and learn a new story. Fortunately Coombsville is full of unique stories to discover.